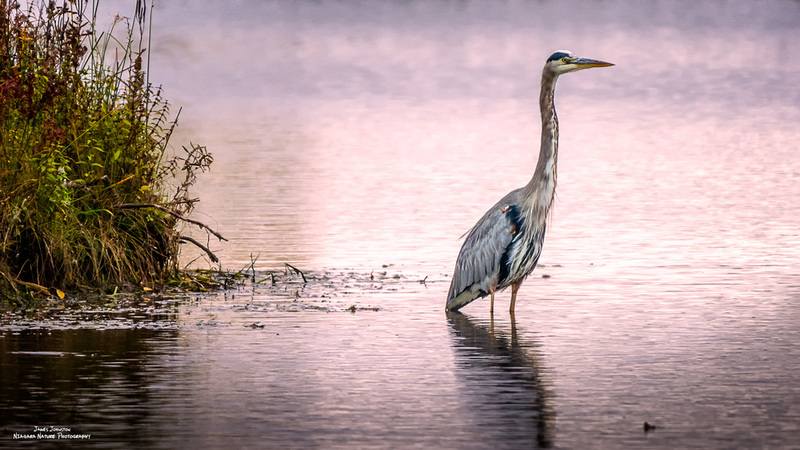 This is actually an older image taken in 2014 and reprocessed in 2016, it is one of my earliest and favorite bird images. 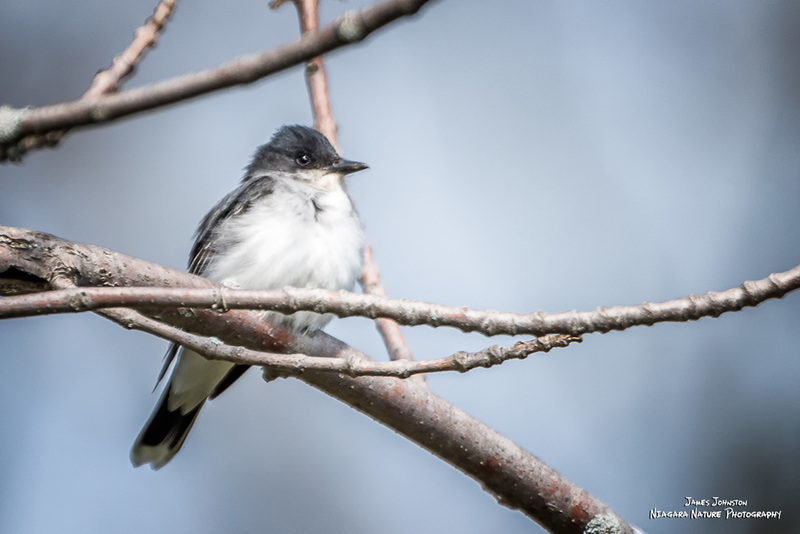 One of the most entertaining birds to watch as they hunt for bugs. They fly out, flutter, catch and head back to the same location, over and over. 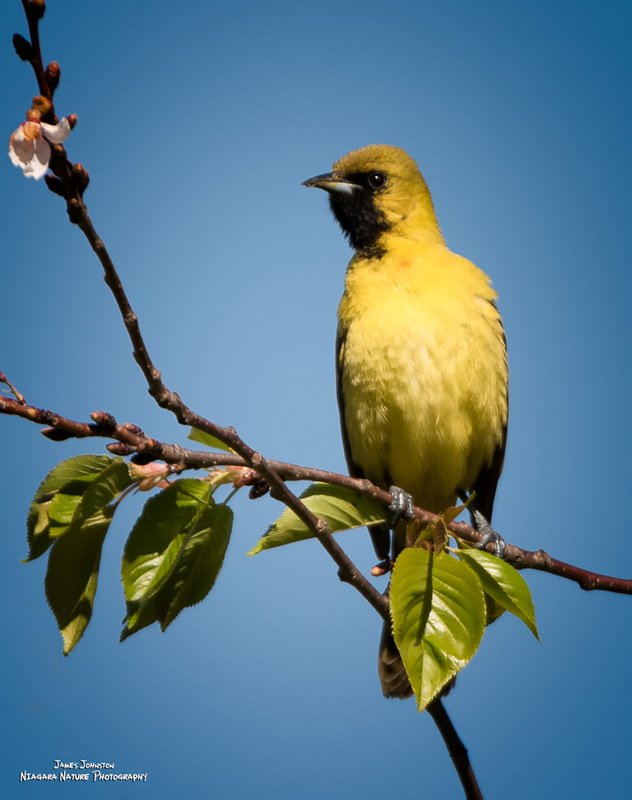 This beautiful yellow first summer Orchard Oriole seems to be wondering why I am taking his photo. Why wouldn't I? 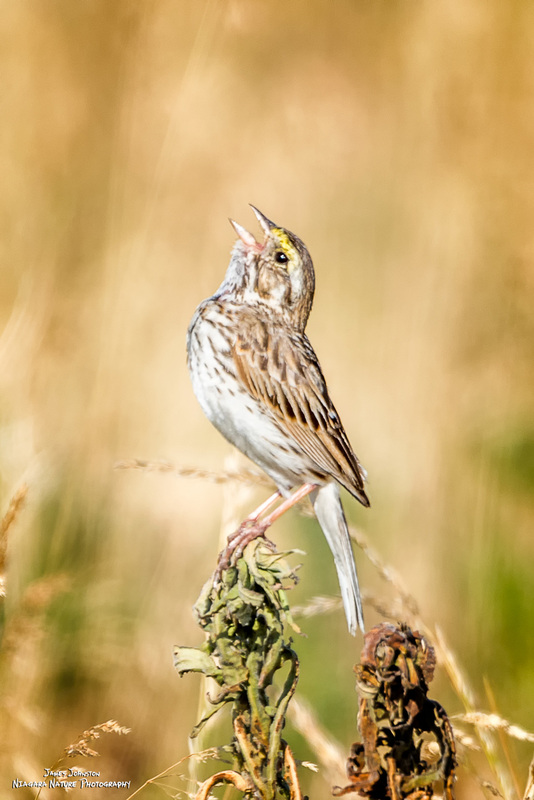 A male Savannah Sparrow sings for a mate, one amongst many birds along the banks of the Upper Niagara River. 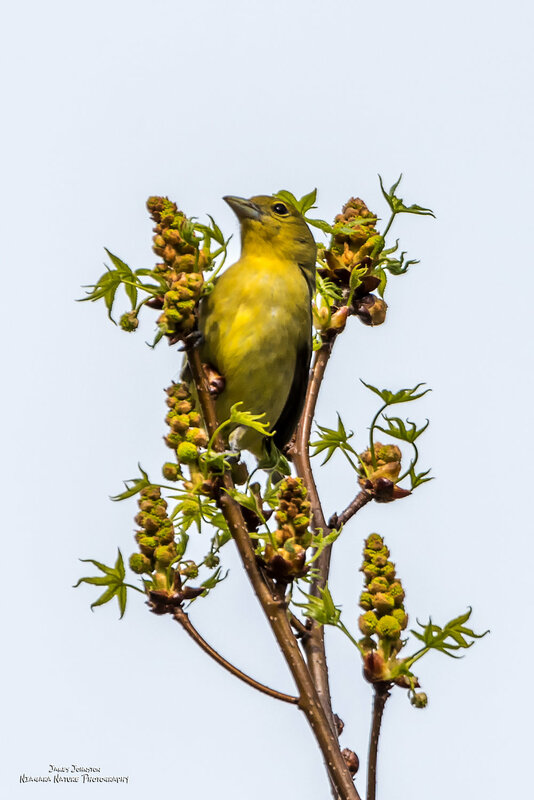 Springtime image of a female Yellow Warbler in the treetop. Scarlet Tanager feeding in the trees earlier this year at springtime. Photographed at Forest Lawn Cemetery in Buffalo, NY USA. 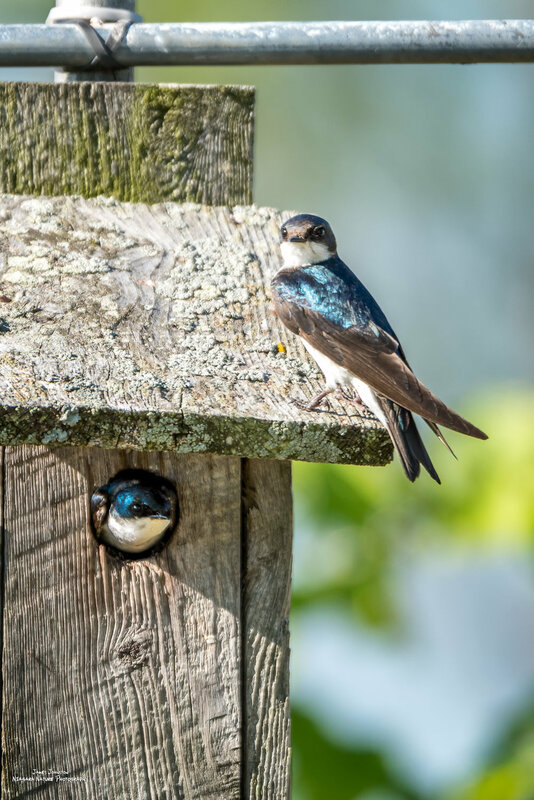 Male and female Tree Swallows in their nesting box. Springtime is family time for the beautiful flyers. Two field mice show off their home, complete with a “dish”. A female Wood Duck rests watchfully on a leg near the Upper Niagara River. Two Eurasian Collared Doves getting cuddly outside of the Furnace Creek Visitor's Center in Death Valley National Park, California. 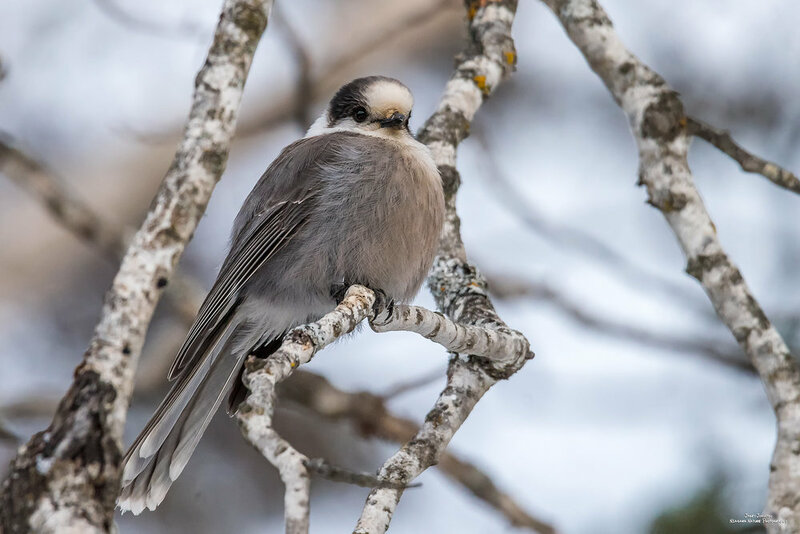 Gray Jay in the trees at Spruce Bog in Algonquin Provincial Park, Ontario Canada.